What’s the Best Metal Detector for Coins? Do you dream of buried treasure? What was once a job for old-time pirates and scallywags, the hunt for treasure is now a hobby. Hidden just a few inches below the ground is a literal treasure trove of forgotten coins, lost relics, and other shiny prizes. Urban coin hunting is a growing pastime, and one that accommodates a big range of lifestyles and locations. 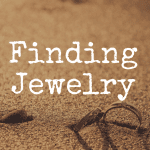 Whether you’re looking toward metal detecting as an activity the whole family can enjoy together, or if it’s a pet project just for you, hunting for hunks of metal is enjoyable, relaxing, and available just about anywhere. Finding the earth’s hidden treasures takes an investment in a few handy tools. And you’ll want a tool that helps you sift through those unwanted items quickly and easily. Luckily, your options for metal detectors are vast, ranging from beginner models all the way up to professional/expert units. And some of today’s units are so advanced in their metal detector technology that they’ll signal to the user the difference between interesting coins and unwanted junk. 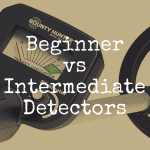 The best choice for metal detectors depends largely on where and what you’ll be hunting. Not all metal detectors are the same. So, assuming that coin hunting is your focus, consider the following models, based on each unit’s unique ability to find buried coins in a variety of locations. Below, please take a moment to view our interactive table where you can compare a variety of great metal detectors best equipped to find coins in your local area. This is a basic unit with a high reputation for coin finding. It’s great at locating the different coin types, based on the makeup of the coin metal. It does struggle with figuring out the depth of the coins at times. But for the cost of the unit and its sensitive finding ability, the Coinmaster III is a great unit for beginners. It has an easy-to-read display screen with basic coin finding settings. It offers pinpoint direction and has an adjustable sensitivity for locating a variety of metal objects. You might find that with this unit you’ll sacrifice some of your time in finding exactly the coin type and metal make up that you could get with other units, though, so be prepared for a little bit of extra digging once you locate an interesting find. Coinmaster III has a waterproof searching coil, which makes it a great unit for beach hunting. Keep in mind that sand is metal and mineral heavy. It may take some getting used to this unit’s responses as it detects various metals in the sand. You’ll most likely need to spend time in getting used to the changes in tones and signals in order to make your metal hunting with this unit second nature. Be prepared to spend at least $180 for this unit. If you’re thinking about getting your feet wet in this hobby, this is a reasonable asking price to give you a good feel for the sport without breaking the bank. For a starting coin collector and hunter, the Tesoro Compadre is an excellent starting detector. It’s lightweight and one of the simplest units to use: all you need do is turn it on and go. It doesn’t feature any sort of display face and it has minimal knobs and adjustments, but it’s a workhorse, nonetheless. Thinking of silent hunting? The newer Compadre models offer a headphone for you to plug in your headphones for quiet signaling, a feature that the newbie hunter usually loves. This device is family friendly, weighing in at less than three pounds, and it’s easily adjustable knob is approachable for those just getting used to coin hunting. It’s powerful and affordable, and it carries a lifetime warranty, a feature that many other brands do not offer. However, this unit doesn’t have a removable coil for interchanging your soil types. What you see is what you get–Tesoro doesn’t offer additional accessories for the Compadre. The Tesoro Compadre also offers a lot for even the smaller budget-shopper. 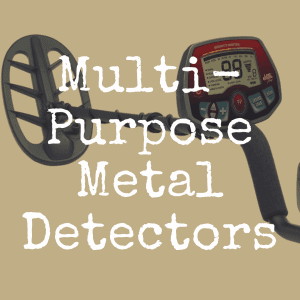 If your philosophy is “less is more,” this metal detector will provide you a great hunting experience for a low price. The Compadre ranges from $150 to $170. This is a great gift for a family who wants to hunt on a variety of areas, such as parks, parking lots, and even your own backyard. 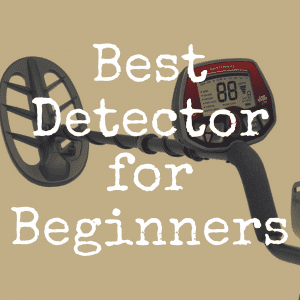 For an easy to read display screen and user-friendly adjustable settings, check out the All-Purpose Fisher F2 metal detector. This beginner’s unit is a great choice for coin hunting, especially as you progress in your passion for finding deeper coins, because of its sensitive depth reading feature. The Fisher F2 can also quickly reset its readings between coin types, which is helpful when you’re hunting a target-rich area. Keep in mind that while some upgrades to the Fisher F2 unit may help its sensitivity on the beach, the basic unit may not always be best for hunting in certain sandy areas compared to other Fisher units and their coordinating accessories. For example, the F2-11DD upgrade to the basic unit is purported to assist in more mineralized soils. 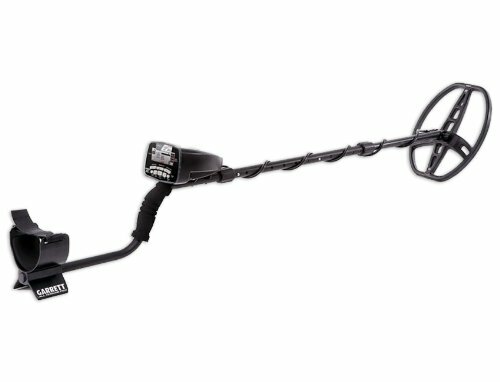 Your discovery-success may be tied to your unit’s features, so if you’re looking for a unit that you can grow with, this metal detector could be a great fit. Priced between $200 and $250, the Fisher F2 is a lightweight, practical and easy to use unit that the whole family can enjoy. The Fisher line of detecting units has a range of options too, for the interested shopper. Minelab has a big following, and for good reason. Even their basic models, like the Minelab X-terra 305, are durable, well-made and effective at coin hunting. Reputed to be one of the best models available for its additional features and success rate, the X-terra 305 is a good starting model for the serious hobbyist. The price you pay will be higher than other brands but it’s an excellent model for all types of coin finding in a variety of surfaces. The Minelab X-terra 305 has easy-to-use programming capabilities, allowing the user to set two preset patterns for desired area and metal type. 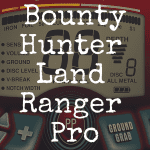 Since hunting in some mineral-rich areas may cause metal detectors to override some metal targets, it’s important for hunters to find a unit that will ground balance. The X-terra unit’s sensitive manual ground balancing feature allows the operator to ignore soil minerals, so it detects only the good stuff. The Minelab X-Terra 305 price point is $400 and up. But if helpful additional features sound like something you’d enjoy, the difference in cost is worth it. The Minelab company additionally offers accessories and features allow a hobbyist to further customize their coin hunting experience. Check out their authorized dealers in your location. As a novice coin hunter, you may have such excitement for the sport that you find yourself jumping in with both feet. If this is you, consider the Garrett AT Pro metal detector. This unit is easy enough for the beginner to use, and yet advanced enough for professional level coin hunting. No matter your level, this model is great for all terrain and all users. This high-end unit features pre-program settings for indicating important metal details such as coin metal type. It also comes with an advanced iron-audio feature to help the operator sort through items they wish to avoid detecting, such as pull tabs, bottle caps, and other unwanted finds. It features a pro-mode allowing for easy reset on ground soil types. The screen interface allows the operator to easily toggle between settings for quick reads between metals, depth, and preset functions. This unit is great for water searching up to a depth of 10 feet. It’s slightly heavier than other models, around 5.5 pounds, so this isn’t the best unit for sharing with children or those who may tire quickly from carrying a heavier unit. The price point for the Garrett AT Pro starts around $600. With this unit, you’re paying more, but you’re also getting more. While it’s not the cheapest starter model, the additional features may make it worth your while if coins are in your sights. Metal detecting is a relaxing, fun, and engaging sport. It’s a great way to get some exercise and connect with your surroundings. 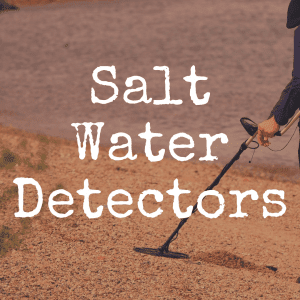 Kids and families can feel like modern-day treasure hunters with the aid of their own metal detecting equipment. The excitement of finding that first coin is addicting! But coin hunters aren’t just hunting for profit. They also hunt for history. Coins that have been buried for decades have stories of their own, and your local parks, beaches, and playgrounds are just waiting for you to unearth their secrets. Will the relics of yesterday appear in your collection tomorrow? Start your hunt today! 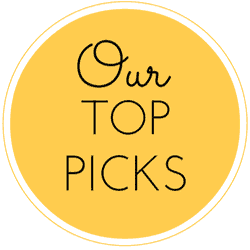 If you enjoyed this article, bookmark Discover Detecting today and please “like” our brand new Facebook page!